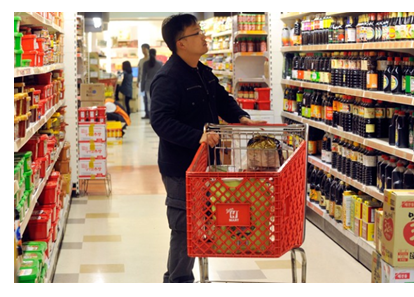 ​​ AUSTIN – ​H-Mart will open near Lakeline Mall next month. Asian grocer H-Mart is wrapping up work on its first Austin-area location, with an expected opening date sometime in mid-January 2018. The 68,670-sf store will be at 11301 Lakeline Blvd. near Lakeline Mall in Northwest Austin, taking over a pair of storefronts in the Parkline shopping center that were vacated in recent years by Bed Bath & Beyond and Sports Authority. H-Mart currently has 60-plus locations nationwide, including ones in the Dallas and Houston areas, and plans to open 15 new stores in 2018. The Austin H-Mart will be the chain’s first to feature a food hall. The food hall, which will be known as Market Eatery, will feature multiple food concepts under one roof. Some will be local, while others will be nationally known. ​Check o​ut more retail stories across Texas.